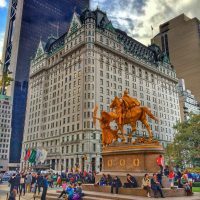 Win a Broadway Getaway for two to see Hello Dolly! 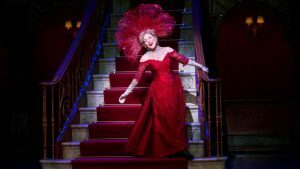 Win a Broadway Getaway for two to see the Tony Award-winning production of Hello, Dolly! starring Bette Midler and David Hyde Pierce. Tickets are $100, and only 200 will be sold! Call our Box Office at 740-371-5152, 10 a.m. – 4 p.m., Monday through Friday. Tickets for two (2) to see Hello, Dolly! on Saturday, December 2, 2017. Tickets go on sale at our opening night of Cabaret, June 23. The drawing will take place October 8, 2017, at Peoples Bank Theatre during the intermission of our scheduled performance by Catapult. You do not have to be present to win. Raffle proceeds benefit the Hippodrome Colony Historical Theatre Association’s continued preservation of our historic theatre. Beginning June 23 at 6 p.m., tickets may be purchased, while they last, at the Box Office or online.